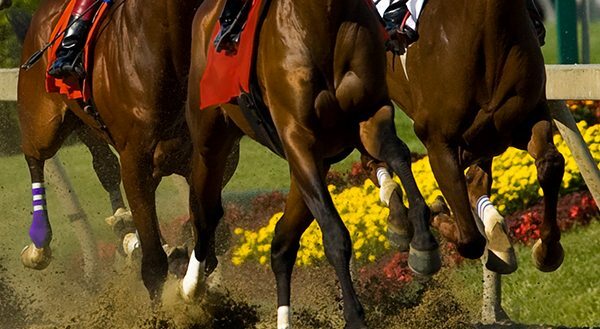 Horse racing has been a favorite activity since ancient times. Greeks and Romans would hold chariot races that drew thousands of rowdy spectators. Horse racing is a little more sophisticated today, but it’s sure to be an exciting time. You can head over to WinStar’s New York Gaming Plaza to watch daily simulcasts of different tracks throughout the United States. The most popular tracks are Belmont, Santa Anita, Gulfstream, and our local home tracks Remington Park and Lone Star Park. The WinStar Casino staff will ask you what track you want to play (e.g., Churchill Downs, Remington Park, etc.). You’ll get a program with past performances at that track. Select a race (e.g., race #3). Choose a horse. Be sure to look at the horse’s name, number and if the horse is a favorite to win. Decide the amount you want to wager. Finally, pick the type of bet you want to place. There are many different kinds of wagers, but the easiest way to bet for the first time is to place a win, place or show These bets mean your selected horse will finish in first (win), second or higher (place), or third or higher (show) in the race. The minimum bet is $2 but you can wager up to any amount that is comfortable to you. If you feel like you’re getting the hang of it and want to try something different, pick two or three horses in an exacta box wager. As long as two of your three horses come in first and second, you win! Other types of bets include trifectas, superfectas, pick threes and fours, daily doubles, high fives and grand slams. The terminology is a little funny, but the WinStar team is ready to explain and answer all questions! Now that you know what to expect, on your next visit, head over to the New York Plaza because off-track betting will be a breeze!